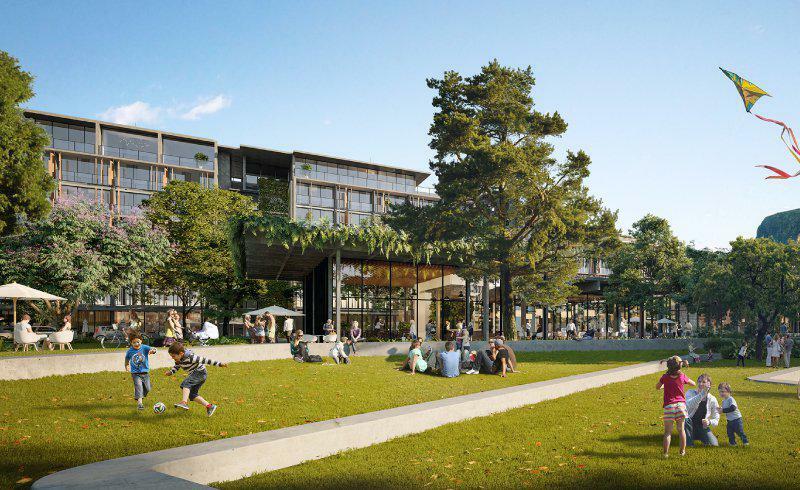 Sekisui House Australia has commissioned architecture firm Hassell to undertake the masterplanning of its contentious $900 million Yaroomba Beach site on the Sunshine Coast. The development comprises the seven storey Westin Coolum Spa and Resort -- the first five star resort developed on the Sunshine Coast in 30 years -- 16 beachfront properties, 757 apartments and a 2,770 square metre shopping centre. The developer reduced the height for the hotel element of the 19-hectare site from 10 to seven storeys in 2016. Hassell's architects said they hope to create a sustainable and ecologically sensitive design that respects the natural character and environment of the area. The proposed shopping centre will include shops, offices, cafes and restaurants and will form part of a "coastal village" which will also include a 6,000 square metre public park, three kilometres of pathways surrounded by retained native vegetation, direct access to the beach with public car parking and a beach ecology and indigenous education centre. The development is proposed across five precincts and multiple stages. Hassell principal Kevin Lloyd said the development at Yaroomba Beach has the potential to create a precinct of regional and state importance. “We have designed a building that is understated and more of a natural extension of the landscape and the character of the Sunshine Coast. It sets a new benchmark for the architectural expression of the region – a building that embraces the local vernacular and evolves this to create a new exemplar,” Lloyd said. “The façade is expressed as a series of distinct elements, with landscape drawn vertically through the building, connecting the permeable ground plane with a series of richly landscaped terraces at roof level." 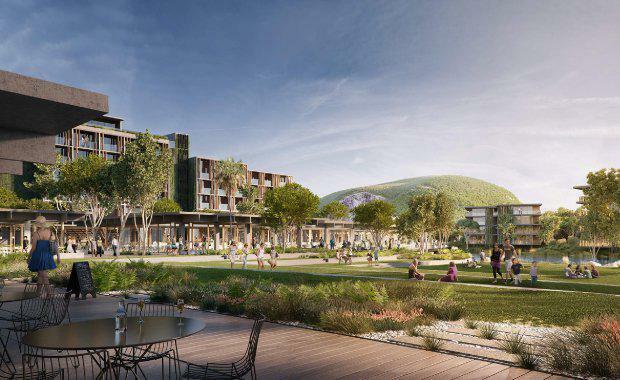 In 2016 when the development plans for Yaroomba Beach were revealed, Sekisui House development manager Evan Aldridge said the development would be a critical component of the Sunshine Coast Council’s vision to be Australia’s most sustainable region. “Yaroomba Beach will be targeting a 6 star Green Star community built with the latest sustainable building technology and managed and operated with a commitment to the future," he said. In its Regional Economic Development Strategy 2013-2033, Sunshine Coast Council has described the risk posed by ageing tourism infrastructure as substantial, with the last 5 Star hotel on the Sunshine Coast developed 27 years ago and no longer holding a 5 Star rating. “Yaroomba Beach will be providing the high-end, short term accommodation and conference facilities needed for tourism to continue to create jobs and contribute to the Sunshine Coast economy,” Aldridge said. 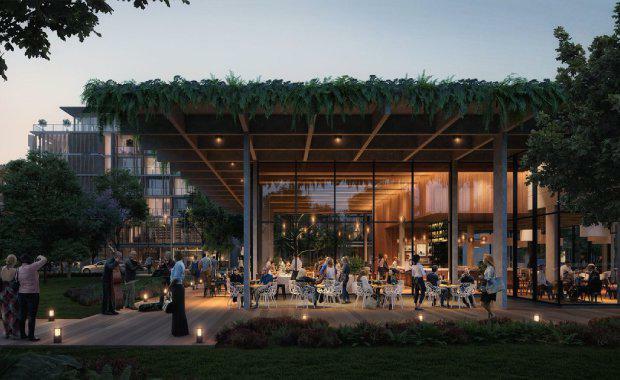 The developer said the project will create 3,400 jobs during construction and, when complete, generate $59 million in new tourism spend each year, supporting 1,400 new local jobs.